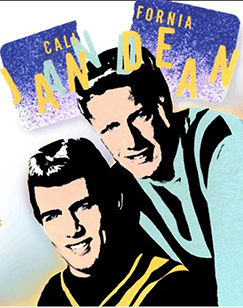 The Jan and Dean Beach Party starring Dean Torrence – From Jan and Dean, the legendary top selling artists of the 60s, comes a Beach Party like no other. Along with their chart topping hits, Dean Torrence brings to the stage all of the music that made the California beach scene famous including many of the Beach Boys songs that Jan and Dean either co-wrote or performed on. Together with the same players for the past 20 years, this outstanding show has audiences singing along to all of their favorites in a fun filled, high energy performance taking you back to the 60s with really cool music, lots of dancing in the aisles and even a memory or two along the way.